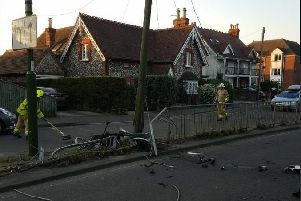 Emergency services are currently attending to the rider of a mobility scooter who has fallen into the road in central Chichester. Traffic is being diverted from the end of South Street where the left lane is currently closed while medical assistance is given. This story will be updated as more is known.